The magnificent Lebanese-Canadian soprano Joyce El-Khoury’s debut recital album. Écho features music associated with the great 19th century soprano Julie Dorus-Gras, including arias by Berlioz, Donizetti, Meyerbeer and Weber. She also duets with her co-star from Les Martyrs, Michael Spyres, whose own recital disc is also released internationally in September 2017. The magnificent Lebanese-Canadian soprano Joyce El-Khoury’s debut recital album. 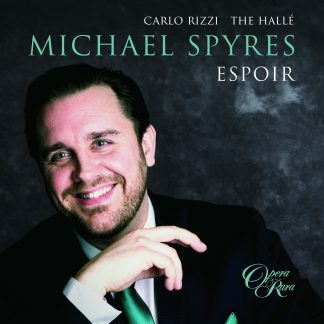 Featuring Michael Spyres with Conductor Carlo Rizzi and The Hallé. Opera Rara will release two discs of arias – titled Espoir & Écho – recorded with Michael Spyres and Joyce El-Khoury. Brought to life by the same singers in a one-off concert performance on Bastille Day – Friday 14 July – at London’s Cadogan Hall, the two discs feature a selection of mainly French arias made famous by two leading figures of the 19th century French and Italian operatic scene: Gilbert Duprez and Julie Dorus-Gras. Born in the Lebanon and brought up in Canada, Joyce El-Khoury studied in Ottawa and Philadelphia, before graduating from the Metropolitan Opera’s Lindemann Young Artist Development programme. Today she is one of the brightest young stars in the opera world, recently receiving universal acclaim for her landmark performance of Violetta in La Traviata at the Royal Opera House, Covent Garden. As well as singing extensively in America, she appears widely in opera and concert throughout Europe, including the Bayerishe Staatsoper. She returns to Covent Garden in 2018, but before then will star in Glyndebourne and Madrid, as well as singing extensively in concert. 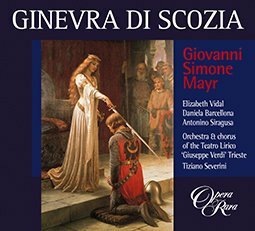 Joyce has starred in two Opera Rara recordings to date: Donizetti’s Belisario and the award-winning recording of Les Martyrs. 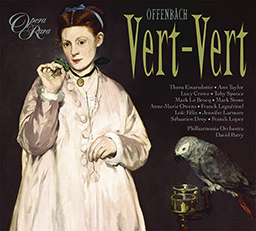 Joyce’s album Écho features music associated with the great 19th century soprano Julie Dorus-Gras, including arias by Berlioz, Donizetti, Meyerbeer and Weber. 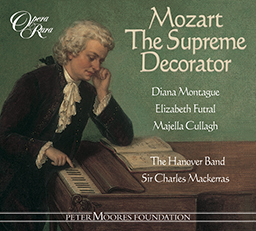 She also duets with her co-star from Les Martyrs, Michael Spyres, whose own recital disc is also released in September 2017, and is available from Opera Rara exclusively from 14th July 2017.